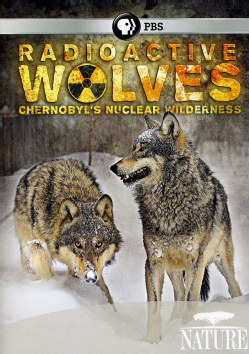 Award for "Rdioactive Wolves" at "Jackson Hole Wildlife Film Festival"
for its in-depth study of wildlife within Chernobyl's Zone of Abandonment where civilization suddenly stopped, and flora and fauna rushed in where humans fear to tread. This film takes us through radioactive towns and across contaminated waterways to observe up-close and personal the region's waterfowl, birds of prey, beavers, fish, bison, wild horses, and the Zone's top predator, wolves. 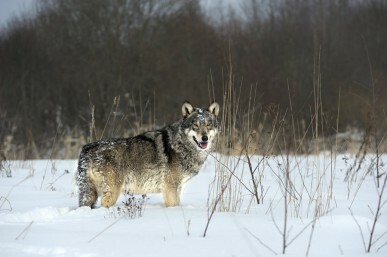 It strives to answer the question: how fares nature's top predator inside Chernobyl's radioactive Zone of Abandonment? Radioactive Wolves is a naturalist masterpiece for the end of the world. Shot over a period of several years, it moves at the stately pace of the seasons. The answer to its top-predator question is inconclusive. 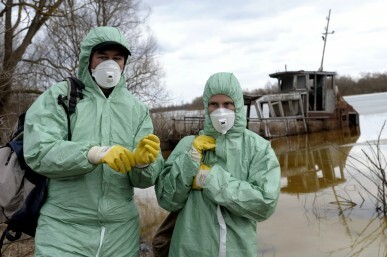 The film's scientists are a new breed of post-apocalyptic humans, ones with nothing left to lose who have become deeply respectful of nature that has been stricken but not yet annihilated by human folly.